In 2011, Hewlett Packard had been working hard to complete and launch their new tablet, the TouchPad. At the time, very few apps had been built for the TouchPad and webOS. HP wanted to raise awareness about the TouchPad, why webOS was a great platform, and how to attract developers to build their apps for webOS. HP approached The Science Project, with whom I had been working upon other projects, about their problem. 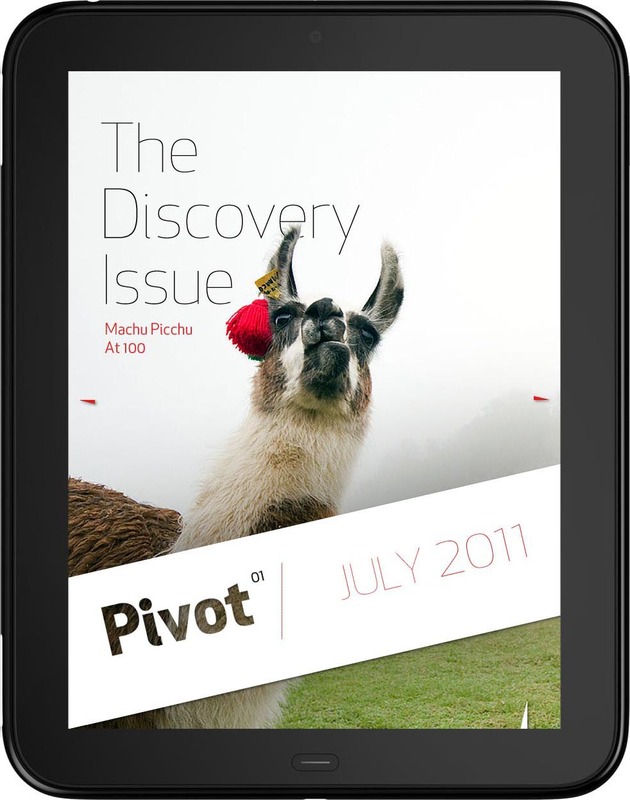 From April through July 2011, I worked in conjunction with the Hewlett Packard TouchPad team and The Science Project to design, develop and build the first issue of Pivot, the monthly App Catalog Magazine for the HP TouchPad. 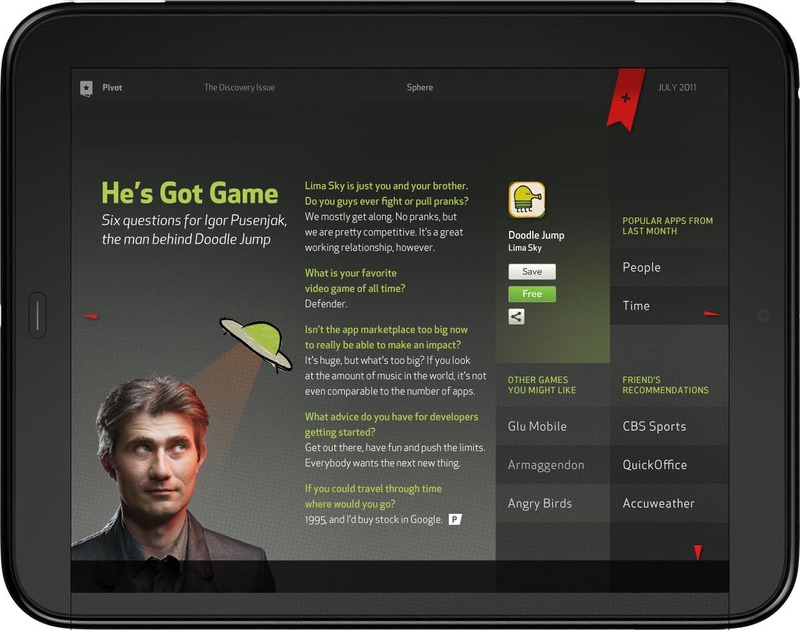 Built using webOS, Pivot aimed to curate a high quality experience and app recommendation platform for HP webOS users. 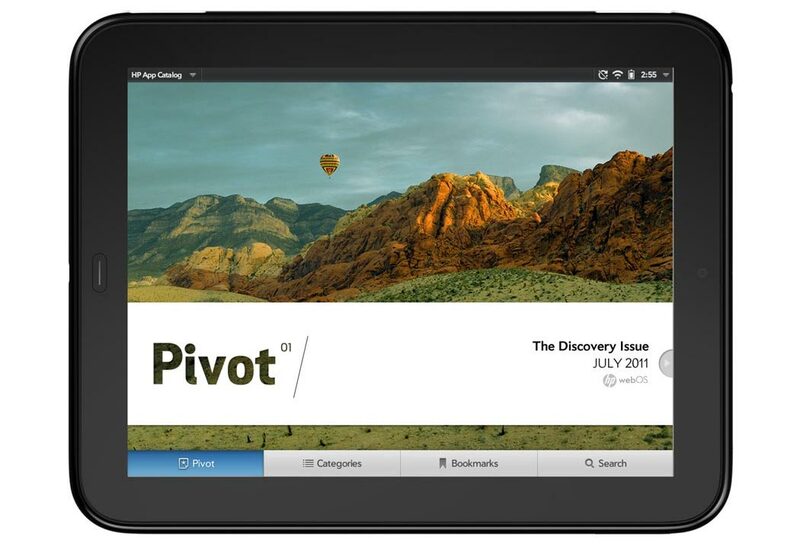 Pivot was delivered directly on the TouchPad’s App Store for the United States market, along with three additional country-specific tailored versions for the United Kingdom, France, and Germany. I led the IA/UX Design & Development along with Technical Programming. My responsibilities were to lead the User Experience research work which included developing Competitive Analysis reports, Moodboards, Sketches, and Wireframes. Working quickly with a fantastic team, we designed, developed, & deployed a comprehensive issue on all TouchPads in four global markets in under three months. This was a high visibility project where I reported directly to senior HP management with the progress and development of Pivot. We developed several covers. 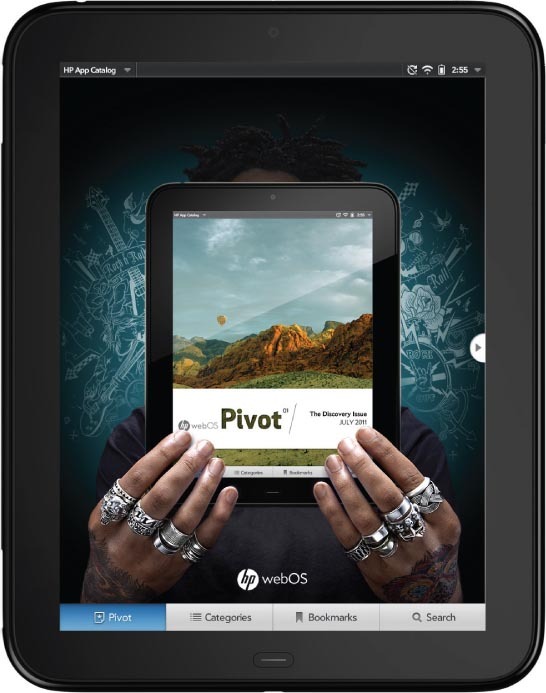 Pictured below is the US Issue of Pivot which was launched from the WebOS App Catalog on the HP TouchPad. 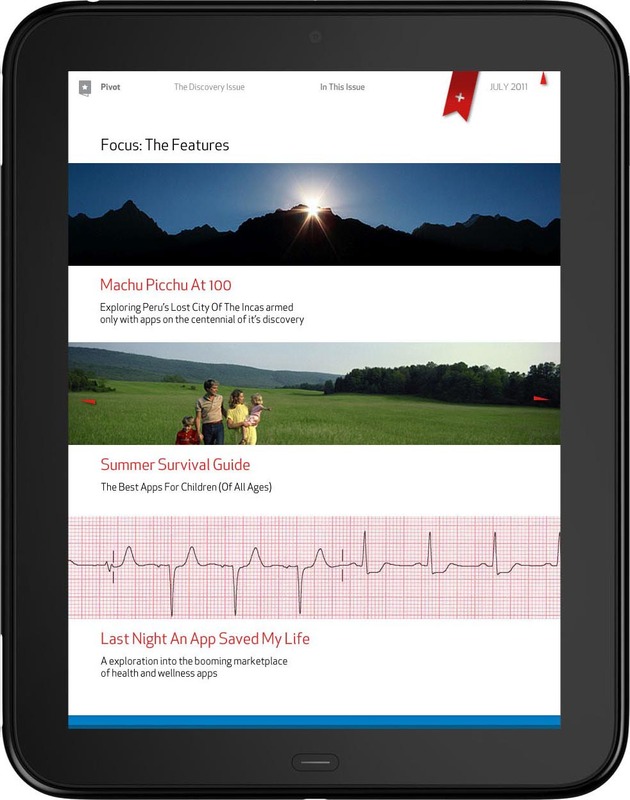 The launch issue was focused upon exploring new frontiers with your new HP TouchPad. “The HP TouchPad is a tablet computer which was developed and designed by Hewlett-Packard. The HP TouchPad was launched on July 1, 2011, in the United States; July 15 in Canada, United Kingdom, France, Germany; and August 15 in Australia.” The WikiPedia description. 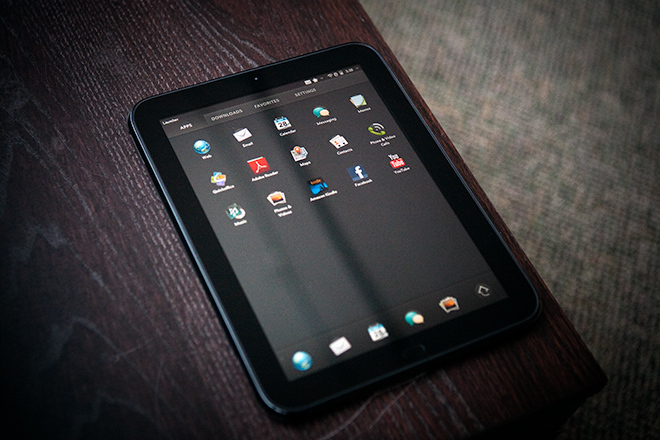 The HP TouchPad was an excellent piece of technology which was unfortunately shut down by HP two months after launch. 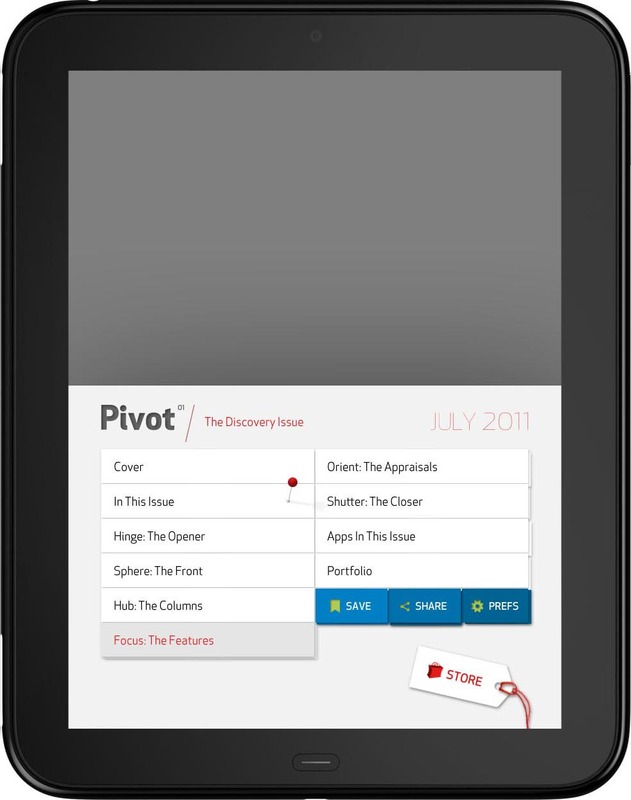 Another cover of Pivot with subtle navigation hints & page elements. Each month new content would feature newly released, popular, and highly rated WebOS apps. 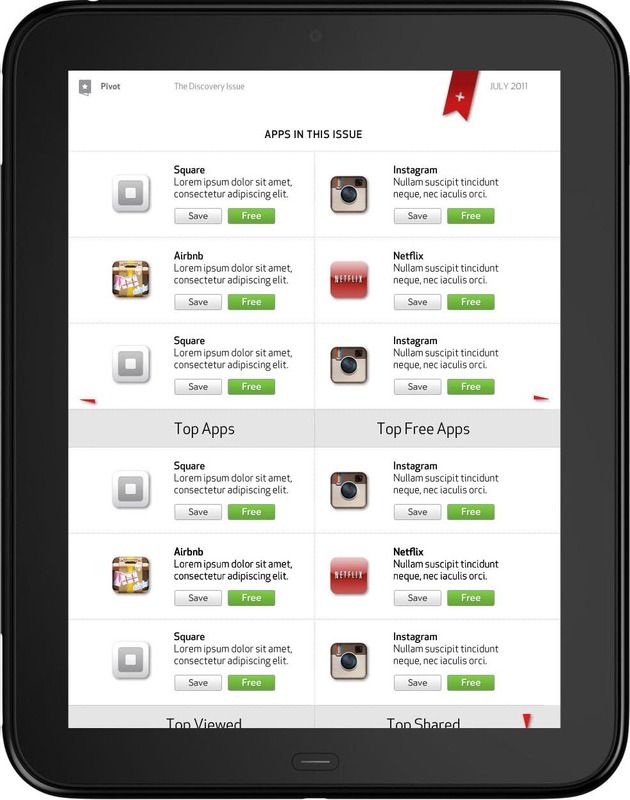 Our goal was to educate users on the benefits of each featured app with strong editorial content. Shying away from listing app’s feature list, Pivot was aimed to help users find worthwhile apps available in their region. Not all apps were translated to all regions and languages. As such, we had to write alternate copy for apps that were EMEA, Europe and other regions. 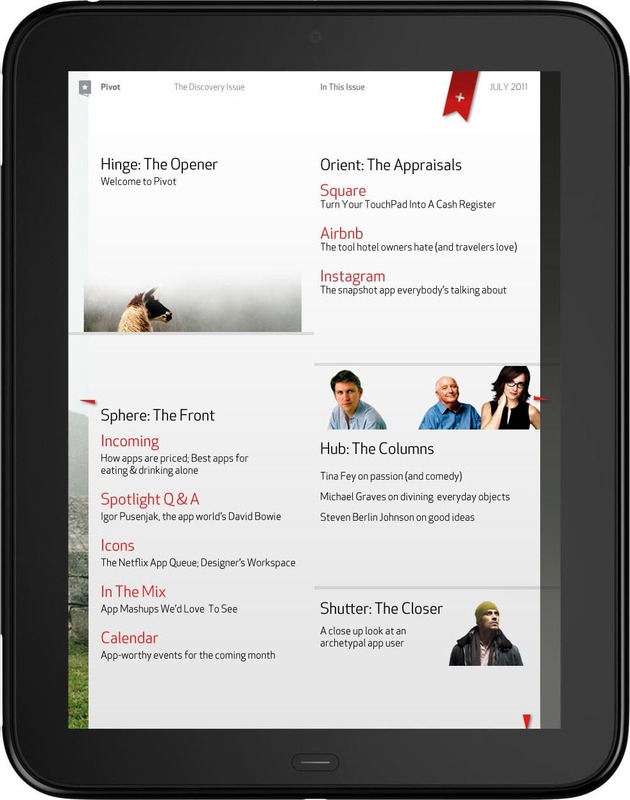 Our main directive was to showcase featured Apps in every issue. I designed this page to show concise information as well as a direct link to download the app on the user’s TouchPad. Pivot’s ultimate success would be measured by how many apps were downloaded as a result of being featured and written about within the monthly App Catalog magazine. Rotating the TouchPad from Portrait to Landscape in your hands revealed an alternative layout of each page. Images may shift to show another angle or shot, while also rearranging the content that may be more readable to a specific user. Users did not have to rotate the tablet on each page, but we provided a playful incentive for them to do so. The Table Of Contents took cues from popular Condé Nast tablet publications. The design of this page needed to incorporate Save, Share, Prefs, and Store links while also showcasing the top level of each content category. In This Issue posed an interesting problem. How do we showcase enough information without affecting readability, clickable tap targets, and extending the amount of pages? We kept our approach simple. We watched people read books, flip through magazine, use touch interfaces with their mobile phones and tablets and improved on the delight factor by revealing content in a more playful way. Flipping this device to landscape orientation would reveal variations of these images. Taking advantage of the landscape view gave our designs an opportunity to showcase another image and more content. These playful Easter eggs were intended to delight our readers and encourage alternate gestures. Within Pivot, users could browse through pages by swiping from the right side of the screen to the left, in either device orientation, through the primary categories of featured content. But when a user wanted to dive into a particular category, section, or article, they would swipe from the bottom to the top to reveal the lower level content.